Disturbance-free Cities, EU project in improving the control of urban building sites, Fossil-free Construction Logistics, and Effects of Construction Logistics Solutions are some of the research projects that will be occupying logistics researchers at LiU from the autumn of 2018. Interest in the cutting-edge research within construction logistics at LiU is growing, and four slightly larger research projects in the field have been awarded research grants during the autumn. “We have confirmed our position, and we have now a considerable breadth in the area of construction logistics in cities, with research not only into the overall processes but also into detailed decision-support systems”, says Anna Fredriksson, researcher in construction logistics based at Campus Norrköping. “We aim to grow as a group, since the need for research in this field is huge. This is based on the increased urbanization, with continuous construction projects, mainly in the urban environment. While the demand for capacity in the city infrastructure increases, its availability is limited during the construction period”, she says. Anna Fredriksson is project manager for one of the larger projects, Disturbance-free Cities, financed by Vinnova. This project was born from an idea that arose during the Society Quest initiative from LiU Holding. In Disturbance-free Cities, a number of actors are to collaborate to develop a visual and interactive planning tool to enable decision-makers at different levels to see how different scenarios influence traffic, residents and city activities. “ Photo credit Thor BalkhedWe plan to develop a system that combines 3D models of the city with traffic-simulation models, which can dynamically calculate traffic flows using real-time data. The system is intended as a decision-support tool for municipalities and construction clients. It will increase accessibility in the city, improve the situation of those who work on the construction project, and make the city an attractive place to live and work, also during the construction period”, says Anna Fredriksson. In addition to researchers from Linköping University, the participants include RISE, the Swedish National Road and Transport Research Institute, Norrköping Municipality, the Swedish Transport Administration, Linköping Municipality, Uppsala Municipality, Stockholm City, Fastighets AB LE Lundberg, Sankt Kors Fastigheter, Wiklunds Åkeri, Wellsec, Telenor, the Swedish Construction Federation and Logistikkluster Östergötland. Disturbance-free Cities has been awarded funds after the Vinnova call for proposals: “Innovation for a Sustainable Society – 2018”. The project will run for three years with a total budget of SEK 7.3 million, SEK 4.9 million of which come from Vinnova. Participants will provide investment corresponding to a further SEK 2.4 million. MIMIC is an acronym for “Minimizing impact of construction material flows in cities”, and is an EU project coordinated by Closer, a Swedish arena for increased traffic efficiency based at Lindholmen. The aim of the project is to develop a platform for decision support, focussing on how the smart use of construction logistics can lead to lower emissions, fewer accidents, lower noise levels and less congestion during the rebuilding, modernisation and densification of major cities in Europe. 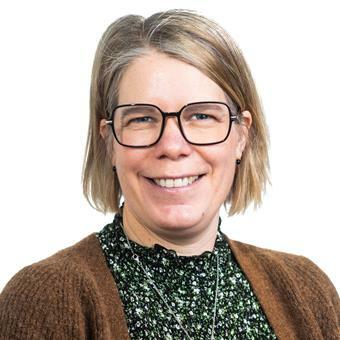 Anna Fredriksson is leading one of the subprojects, and LiU is responsible for approximately SEK 1.5 million of the total budget of the programme, EUR 1.27 million. The funding is being provided by the JPI Urban Europe programme, through Vinnova. Swedish participants, in addition to LiU and Closer, are the Chalmers University of Technology, Älvstranden Utveckling, Stockholm City, Sollentuna Municipality, the Swedish Transport Administration, Ahlsell, Skanska and FM Bygningsdrift. Fossil-free construction logistics is part of an initiative from the Swedish Transport Administration under the name “Triple F”, (Fossil-Free Freight). The project is led by Mats Abrahamsson, professor in logistics at LiU, and is a collaboration between researchers in logistics at Campus Valla, researchers in construction logistics at Campus Norrköping, and Logistikkluster Östergötland. The intention of the project is to survey the collective transport needs of planned construction projects, and how they are distributed among the various phases. This can be used to create and test methods for conversion to fossil-free transport and used as a guide in the work. Models can then be tested in reality in the form of pilot projects. The Fossil-Free Transport project is a preliminary study financed with SEK 660,000 from the Swedish Transport Administration, and it is hoped that it will lead to a larger project in fossil-free construction logistics. In a fourth project, partly coupled to MIMIC, doctoral student Mats Janné will examine the effects of congestion logistics solutions in city-focussed construction projects. This project will be led by Martin Rudberg, professor of construction logistics. To be more specific, the project will focus on which types of solution in construction logistics can be used, how they affect productivity and sustainability on construction sites, how suitable parameters can be used to follow up the effects, and how an organisation should be designed in order for a project to exploit the solutions suggested by construction logistics. This is a three-year project and has been awarded SEK 1.8 million in financing from the research and development organisation in the construction industry, SBUF. The research is empirically grounded, but strives towards developing normative tools, methods and models with the purpose to enhance effective construction logistics and management. Research group Green logistics studies how various businesses consider environmental aspects in the analysis, development and management of logistics systems and supply chains.